September 23rd will see the LG Dire Wolves tying Australia to the pages of eSport history when they become the first team from down under to compete in the League of Legends World Championships. 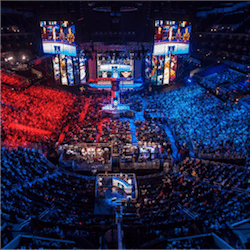 The League Of Legends World Championships is the final event on the annual League of Legends calendar and the ultimate in international eSport championships. 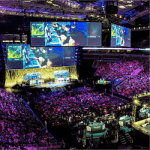 It’s not only the main event aspired to by every professional eSport team in existence, but it comes with the promise of a fat pay cheque too – with Riot Games having forked out a total of $5.07 (US) dollars for last year’s event. This year’s figures have not been released but those in the know predict that it will more grandiose than last year. 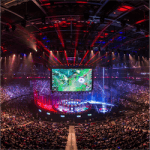 Riot reported 43 million viewers having followed last year’s League of Legends World Championships – with Samsung Galaxy and SKTelecom T1 having been the event’s main title sponsors. This year has reportedly seen the likes of Mercedes, L’Oreal and Intel bidding for title sponsorship. Australia’s LG Dire Wolves secured their spot in this year’s event after having shown themselves worthy of becoming Champions of the Oceanic Pro League earlier this year – having beaten the Chiefs Esports Club to a 3-1 victory. The Wolves will be one of 12 teams of players set to compete in the play-in (preliminary) stage of the Worlds event in Wuhan, China. The top four teams will then move on to compete in the main event. The LG Dire Wolves will have to really step up to the plate if they are to keep the dream alive – North American heavyweights Cloud 9 will be competing alongside Team oNe eSports from Brazil in the Group B division. Failure to beat their Group B opponents will ultimately mean that they will have to come back next year for another go at it. Captain Mitchell “Destiny” Shaw seems positive at the team’s prospects, saying that they had come a long way since their first boot camp in South Korea earlier this year – as individuals as well as functioning together as a team. The Dire Wolves are underdogs in many respects, hailing from a relatively small region and competing in a sport that has only recently really taken off and begun to flourish. Unlike Australia’s involvement in international events like Dota 2, where Australian players were included in other international packs, the Dire Wolves are 100% homegrown. For this, they deserve the support of their country. The Dota 2 International 2018 tournament is officially underway, but the first day didn’t go as organisers had expected. 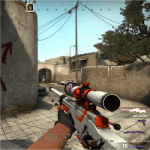 Various outages and interruptions during the matches caused outcry among viewers, eventually prompting Valve to release a tweet apologising for the spotty service. 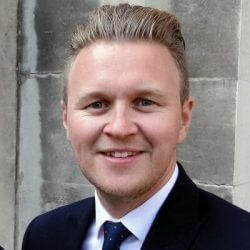 Despite the apology, many feel that a tournament …. 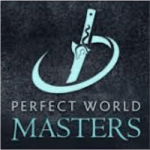 Perfect World Masters Set to Thrill The Perfect World Masters is a Dota 2 event and will be held in Shanghai, China, on November 19th. 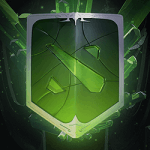 The event will serve as a qualifier for The International 2018 and boasts a prize pool of $300,000.00. Ten teams will be hoping to tally …. League Of Legends World Championship It has been over a month’s worth of blood and sweat and unforgiving competition and now, finally, only two teams remain to battle it out for the ultimate honour: League of Legends World Champions 2017. The finals will be played on 4 November at the …. Euronics Gaming Vs Alternate Attax – 4 November It’s a story of as rival as rivals go – the story of Euronics Gaming vs. Alternate Attax. The ESL Winter Championships is well under way and a new points system and newly introduced rounds are bound to mix it up going …. Invictus Gaming Takes The Western Bull By Its Horns The Chinese teams have shown why they do the very positive stereotype of being brilliant masterminds proud, on the 1st day of Dota 2 – The International 2017. Legendary Chinese team Invictus Gaming went first up against EU-based Team Liquid – ….